Sri Lanka’s economic growth has moderated from the highs of the resurgence in the immediate aftermath of the protracted civil conflict amid fiscal consolidation efforts aimed at engendering macroeconomic stability over the medium term. And a longstanding call for more public-private partnerships (PPPs) was met to some extent earlier this year by the establishment of a PPP unit at the Ceylon Chamber of Commerce – a confederation of trade associations, regional and sectoral chambers of commerce and industry, bilateral business councils and employer organisations. Meanwhile, Sri Lanka’s corporates, helmed by more than a handful of visionary and daring leaders, have evidently taken the initiative to do their part for the national economy – with or without the assistance of so-called ‘government handouts’ – which augurs well for the country’s development aspirations. DOING BUSINESS MILIEU The ease of doing business is a key feature of a developed economy that is open to the rest of the world. Unfortunately, Sri Lanka finds itself in the uninspiring position of No. 110 in the World Bank’s 2017 Doing Business rankings. And to add to the misery, we have taken one step down the ladder from the previous year. According to the World Bank report, the roadblocks to progress include access to credit, obtaining construction permits and electricity connections, registering property, paying taxes and trading across borders. Indeed, there is hope that some of these concerns will be addressed by the forthcoming budget proposals as well as the new Inland Revenue Act, which takes effect from April next year. But the ground reality is that Sri Lanka can and must do better. STATE OF GOVERNANCE There are problems on the governance front too. The incumbent administration continues to face challenges that revolve around innumerable probes on alleged incidents of corruption, not to mention perceptions of impunity for members of the coalition as well as scuttled attempts to instigate crucial reforms. It remains to be seen therefore, whether the yahapalanaya regime will find a way to turn the tables on what has thus far been a term of unfulfilled promises – or risk facing the axe when the people who elected it exercise their democratic mandate the next time around. BUSINESS HALL OF FAME Scores of exemplary businesspeople have gone the extra mile to do their country and organisations proud. In what is now an annual presentation, this edition of LMD pays tribute to the corporate front-runners in 2017 – as the magazine has done since 2010. Our annual list of Businesspeople Of The Year (BOTY) is based on nominations received from LMD’s contributors, as well as an in-house think tank led by the editorial and management teams. In this year’s hall of fame, we showcase 23 leaders from among the best in Sri Lanka’s corporate community in 2017 to coincide with LMD’s 23rd anniversary. Our collective think tank works on the basis of financial performance (with the LMD 100 being a key point of reference), corporate respect (LMD’s Most Respected rankings come into play here), branding successes (our Brands Annual says it all) and other dimensions including entrepreneurship, the spirit of innovation and all else that make for inspiring leadership. There’s also the million dollar question of corporate ethics and good governance, so perceptions as to who among the top guns in our business world is clean continues to make a difference. It has to be said however, that given the state of play in a land that has for too long viewed corruption as being endemic, our guess as to who is clean and who isn’t is as good as yours. THE BOTY CANDIDATE PROFILE This year’s roll call of the island’s leading corporate personalities pays homage to business leaders from diverse fields. The 2017 BOTY lineup is led by champions of the nation’s trailblazing conglomerates, closely followed by the banking sector and apparel industry who are among the giants of Sri Lanka’s engine of growth. Sector wise, real estate and insurance also feature prominently, and there are representatives from tea, tourism, telecom, motor and academia too. We’ve done our best to trace BOTY’s roots and find that the majority received their primary and secondary education in Colombo with at least five being cited as old Royalists, followed by products of S. Thomas’ and St. Joseph’s – and not to be outdone, a few from the outstations as well. The fact that there are two Cambridge educated businesspeople on this year’s BOTY list also speaks volumes for the credentials of the Board of Sri Lanka Inc.
From college education to the professions, and engineers sit at the top of the BOTY podium with lawyers, accountants and economists also making their mark by virtue of having more than one representative in the hall of fame. And we’ve dug deep to identify those from among the 23 who have excelled in the field of sports in their youth – after all, sport is a great leveller and viewed as being a happy hunting ground to groom inspirational leaders. BOTY’s sporting prowess is led with distinction by a former captain of Sri Lanka’s rugby football team who has also played first class cricket in his homeland and abroad. And not surprisingly perhaps, the rest of the field is propped up by ex-schoolboy cricketers and supported by ruggerites of yesteryear. As for our trivia test, there are as many as three former Sri Lankans Of The Year, two past winners of LMD’s Lifetime Achievement Award, two brothers, two leaders from the same group of companies and last but not least, two women – although one hopes that this number will increase in time, given that gender equality is now being viewed as an imperative in the upper echelons of business. Finally, as many as 17 of this year’s nominees are making repeat appearances, having also been featured in last year’s BOTY roll call. This demonstrates the stability there is in the corporate arena, which ought to inspire others who dare to follow in the footsteps of LMD’s 2017 Businesspeople Of The Year – including one might say, the political elite in this country. His humble and personable demeanour is interwoven with a spirit of dynamism, and an uncanny ability to seal a good deal. A schoolboy cricket captain turned banker who holds an MBA in finance from the University of Stirling (Scotland), Jonathan Alles is an Associate member of the Institute of Bankers of Sri Lanka and has worked extensively in the Middle East. As the Managing Director and CEO of Hatton National Bank (HNB), he has spearheaded the evolution of a new paradigm in banking in this country with the help of cutting-edge technology that caters to the modern era. Under his command, HNB was ranked No. 9 in the LMD 100 for financial year 2015/16 when it reported a top line of marginally over Rs. 70 billion. The bank also occupied the ninth spot in the 2017 Brands Annual’s Most Valuable Brands listing and was placed 16th in this year’s special edition of Most Respected, which is a compilation of Sri Lanka’s most admired companies. The Chairman of apparel behemoth MAS Holdings has been among five global business leaders recognised with a UN accolade at the Women’s Empowerment Principles’ (WEP) inaugural Leadership Awards for Cultural Change for Empowerment. In addition, he has the distinction of being featured among LMD’s Businesspeople Of The Year on six previous occasions. 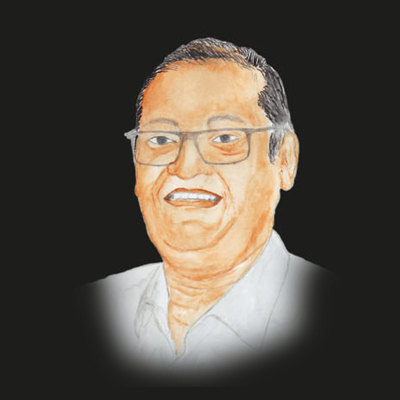 Deshamanya Mahesh Amalean is by all accounts a quiet super achiever – he’s by and large a private person in relation to his status as a colossus among industrialists in this country. In his formative years, having graduated from the University of Madras with a BTech degree in chemical engineering, he enrolled on the Executive Education Program – Strategic Leadership of Columbia University (New York). Amalean’s penchant for innovation has seen him being appointed Chairman of the Sri Lanka Institute of Nanotechnology (SLINTEC) and awarded an honorary doctorate from the Open University of Sri Lanka. 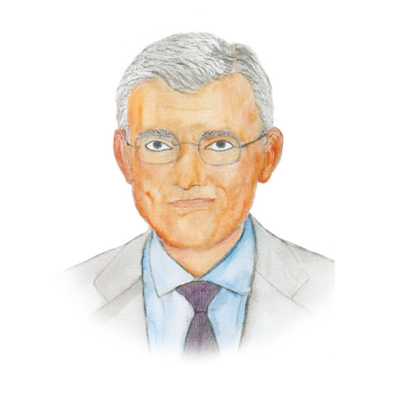 A President’s Counsel armed with a PhD in corporate law from the University of Canberra, Dr. Harsha Cabral was appointed Chairman of Tokyo Cement Company (Lanka) in December 2014. He is a member of the Law Commission of Sri Lanka, Advisory Commission on Company Law, Board of Studies – Council of Legal Education, Corporate Governance Committee (CA-SEC), Board of Studies – School of Accounting and Business (CA Sri Lanka), and Legal and Judicial Reforms Project. A council member of the University of Colombo, Cabral is a director of 15 companies, and has the distinction of authoring several books on company and intellectual property law. His experience includes stints as a senior lecturer and examiner at the University of Colombo, and council member, faculty member and course director of ICLP. As a Senior Counsel, Cabral counts 27 years specialising in company and intellectual property law, commercial arbitration, and commercial and international trade law. 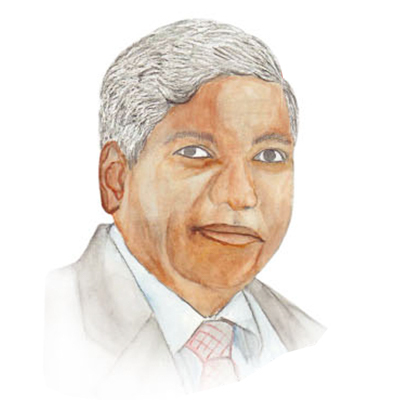 The Governor of the Central Bank of Sri Lanka (CBSL) is a prominent economist and former Director Economic Affairs of the Commonwealth Secretariat who won LMD’s Sri Lankan Of The Year award in 2016, much to his surprise – such is the highly respected banker’s humility. Dr. Indrajit Coomaraswamy’s career highlights include over a decade with CBSL, and a term with the Ministry of Finance and Planning, following which he continued to engage in and provide insights on the economic and political discourse of the nation. 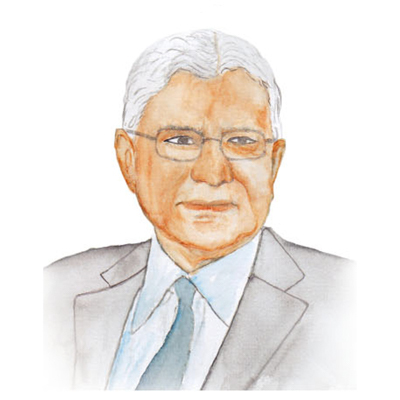 Educated at Royal College, Harrow School, University of Cambridge and University of Sussex, Coomaraswamy is also a reputed sportsman of yesteryear, having played rugby football for CR & FC and Sri Lanka, and cricket for Cambridge and the Tamil Union Cricket & Athletic Club. The quintessential gentleman is widely believed to have been instrumental in restoring the reputation of the hallowed institution he now helms, which was mired in controversy not long ago. The Chairman of Jetwing Hotels, which is among the leading hotel chains in Sri Lanka today, is yet another quiet achiever in this year’s list of top corporate personalities. Hiran Cooray is soft spoken, and a gentleman through and through whose simplicity belies his growing stature as a doyen in the making in paradise isle’s hotelier community. And his efforts to promote the island’s burgeoning tourism industry haven’t gone unnoticed; for starters, he has been featured among LMD’s Businesspeople Of The Year on four past occasions. A graduate of business administration from the University of North Carolina, he’s a product of St. Joseph’s College where he played cricket with great aplomb. 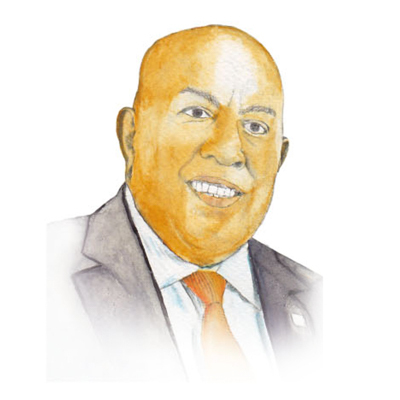 Cooray counts a lengthy track record in the hospitality business, which has stood him in good stead – he was appointed Chairman of the Pacific Asia Travel Association (PATA) for 2010-2012 and has served as President of The Hotels Association of Sri Lanka (THASL). Despite having embarked on a career in the legal profession over a decade ago, Hemaka de Alwis finds himself playing an integral role in Sri Lanka’s trendsetting real estate management and property development sector today. Armed with a management style that is ultra casual, he represents the epitome of out of the box thinking. De Alwis is the Chairman and Managing Director of Fairway Holdings, which was established in 2003, and has business interests in renewable energy projects, manufacturing and trading operations, financial services, pharmaceuticals, and the travel and leisure sector – and he’s been instrumental in leading the Elements by Fairway and Fairway SkyGardens apartment projects. 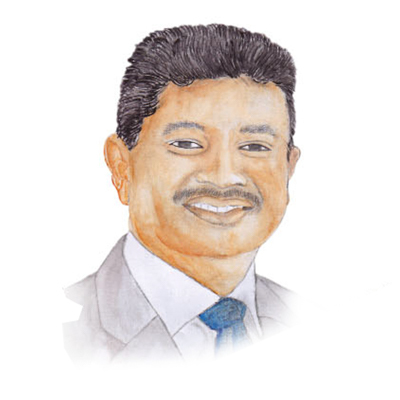 In the past, De Alwis has played his hand in diverse areas of business such as energy reclamation, export credit insurance, consumer affairs and livestock development, and in the sporting arena by way of a legal posting at Sri Lanka Cricket. 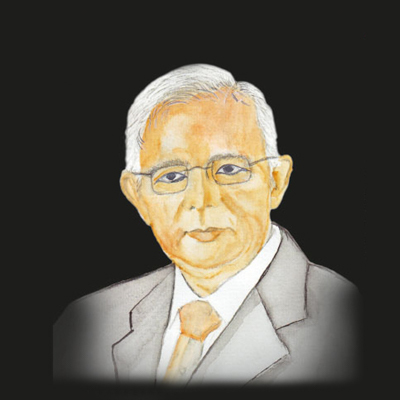 Having joined Commercial Bank of Ceylon (ComBank) in 1982, Jegan Durairatnam has been part of its corporate management team for seven years – he currently serves as Managing Director and CEO of the nation’s leading private sector bank. His experience covers a wide spectrum of duties in international trade, offshore banking, credit, operations and IT. A holder of a bachelor’s degree from the University of Peradeniya, Durairatnam has served ComBank in several senior management positions leading up to his appointment as MD. In the 2017 special edition of LMD’s Most Respected, Commercial Bank – arguably the most awarded bank in this country for many years – was ranked No. 4 with a tally of 59 gold, 91 silver and 64 bronze medals. The bank was also placed fourth in the Most Valuable Brands list (Brands Annual) and recorded an annual income in excess of Rs. 78 billion in financial year 2015/16, which placed it at No. 4 in the LMD 100 rankings. 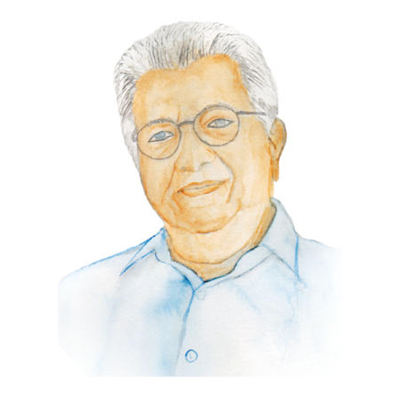 The recipient of LMD’s Lifetime Achievement Award in 2011, Merrill J. Fernando needs no introduction – he is an iconic businessman who has etched his good name in Sri Lanka’s corporate history. 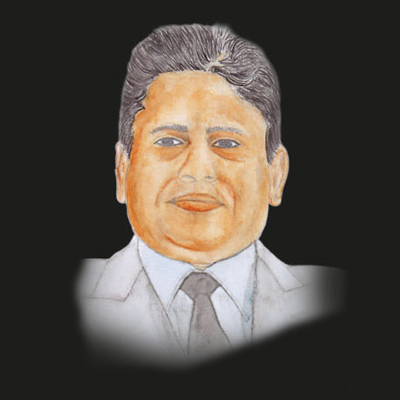 The Founder and Chairman of MJF Group trained at London’s then ‘mecca of tea’ Mincing Lane and is widely hailed as the doyen of Sri Lanka’s tea industry. 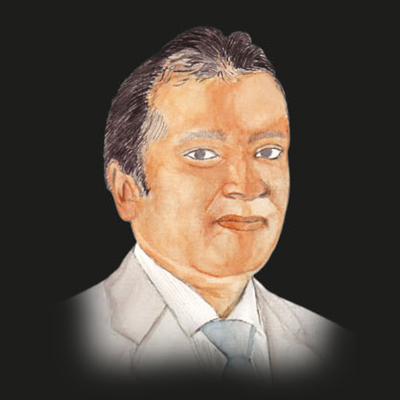 And indeed, he’s the visionary behind the international brand Dilmah – arguably Sri Lanka’s most high profile brand. What’s more, he was instrumental in relaunching Ceylon Tea globally. In recognition of the fact that Dilmah’s success is not his alone, Merrill J. Fernando has often said that it is with immense satisfaction that he shares his riches with the less fortunate. To this end, the MJF Charitable Foundation was established to render humanitarian assistance to underprivileged people. 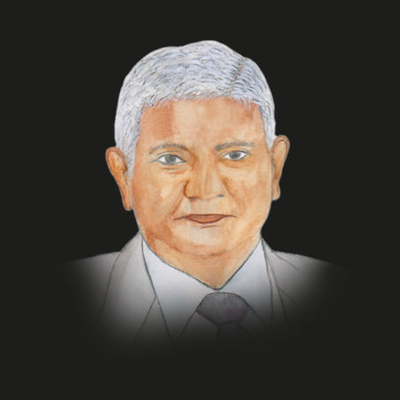 But above all, he is a gentle giant who stands tall among Sri Lanka’s business leaders past and present – a first among equals. 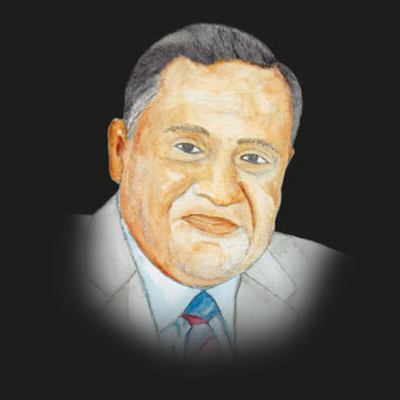 Having joined the Ceylinco Group in 1978 as a Sales Manager and being appointed Director in Charge of the General Division of Ceylinco Insurance in 1987, Ajith Gunawardena introduced the concept of a direct sales force to the sector. And indeed, his brainchild of on-the-spot claims settlement has transformed the insurance landscape in Sri Lanka. Under his leadership, Ceylinco Insurance was recognised as being among the top four general insurance companies in Asia in 2000. Never lost for words, Gunawardena epitomises the dynamism that his company is known for. He was also behind Ceylinco Insurance’s first overseas joint venture, and is cited as being the unyielding strength behind numerous other corporate projects that include power and energy. Gunawardena was conferred an Honorary Fellowship by the ICBT Campus – an Associate College of Cardiff Metropolitan University (UK) – in 2016 in recognition of services rendered to the insurance sector. 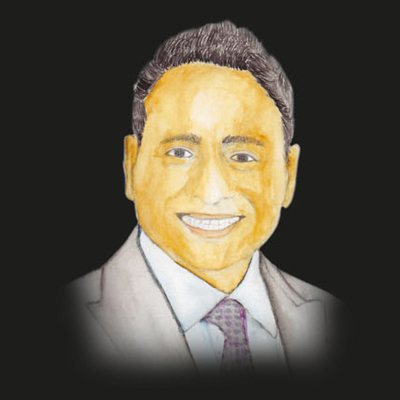 As the Managing Director of JAT Holdings, Aelian Gunawardene has ensured that his group continues to thrive in the local business arena on the back of its corporate reputation, financial strength and brand recognition. Today, JAT is a fledgling conglomerate with interests in a number of key sectors, and has also expanded its regional market reach to Bangladesh, the Maldives and India. 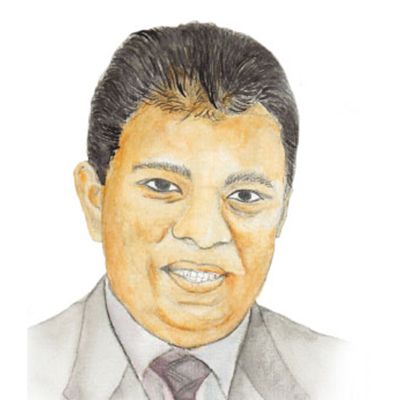 An amiable businessman with a sporting track record in his schoolboy days, Gunawardene possesses over two decades’ experience in the marketing and management spheres, and holds a diploma in marketing management from the Chartered Institute of Marketing (CIM) UK. He has said that his focus has been on innovation, and steering JAT towards uncharted terrain while growing market share, and building brand equity in the furniture and finishing space. And thanks to a seemingly inherent sense of humility coupled with a charming demeanour, he may well succeed in achieving his ambitions. 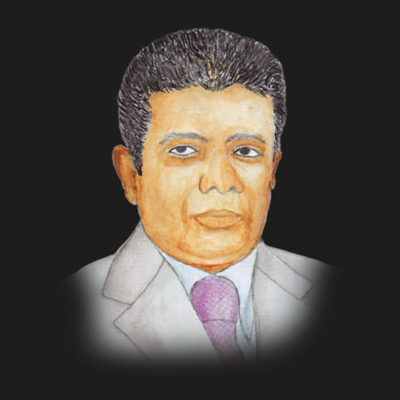 The CEO of one of Sri Lanka’s two apparel giants Brandix Lanka has maintained a reputation for being a highly respected industrialist and prominent figure in biz circles over many decades. Not surprisingly therefore, he has featured in seven of LMD’s eight Businesspeople Of The Year listings to date. Ashroff Omar is a director of Phoenix Ventures, the holding company of Brandix Lanka. He also serves as a director of many of the group’s subsidiaries. Although his no-nonsense approach to business is legendary, Omar balances this with a raw sense of humour that mirrors his outlook on life. He was instrumental in the establishment of the Joint Apparel Association Forum (JAAF), which is widely regarded as the apex body of the apparel industry with a mandate to drive strategy. Omar chaired JAAF at its inception, and is a former chairman of the Sri Lanka Apparel Exporters Association and an industry spokesperson whose take on business is often embraced by the powers that be. One of two brothers in the biz hall of fame this year, Mohan Pandithage is the Chairman and Chief Executive of Hayleys, and has featured in LMD’s Businesspeople Of The Year list on four previous occasions. Hayleys was placed second in the 2015/16 LMD 100 with a turnover of over Rs. 92 billion rupees and the highly diversified conglomerate was ranked No. 5 in the Most Respected special edition this year. 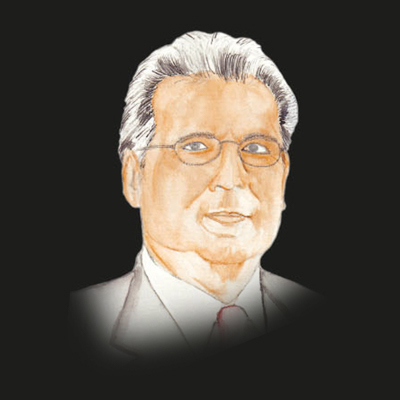 Pandithage joined the Hayleys group in 1969 and was appointed to its board in 1998. He is a Fellow of the Chartered Institute of Logistics & Transport (UK), council member of the Employers’ Federation of Ceylon and member of the Advisory Council of the Ceylon Association of Shipping Agents. In September, he played a part in masterminding Hayleys’ acquisition of a majority (61.73%) shareholding in another LMD 100 company – Singer (Sri Lanka) – for a whopping 10.9 billion rupees in what was the single largest transaction on the stock exchange in recent times. The other half of the Pandithage brothers in the corporate hall of fame so to speak, his glittering career at Diesel & Motor Engineering (DIMO) – the exclusive agents for Mercedes-Benz in Sri Lanka and largest exporter of TATA vehicles to this country, in addition to representing the international brand of light bulbs Osram – took off back in 1973. 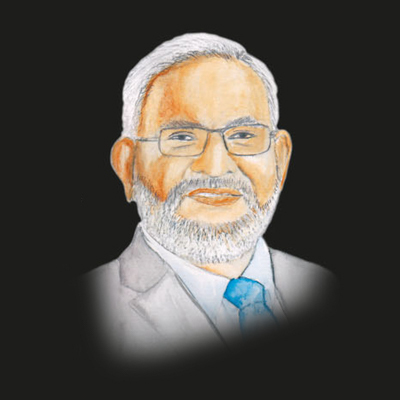 Appointed to DIMO’s board of directors in 1977, Ranjith Pandithage holds a diploma in engineering from Germany, and is a member of the Institute of Engineers – Germany (VDI), director of Dial Textiles and Chairman of the Audit Committee of Dial Textiles. Currently serving as its Chairman and Managing Director, Pandithage has been the driving force behind DIMO, which was ranked 17th in the 2017 Most Respected pecking order with a medal count of six gold, 14 silver and eight bronze. DIMO recorded a turnover in excess of Rs. 37 billion in the 2015/16 financial year and has been an LMD 100 company over the years. Equipped with a visionary outlook and the guts to take risks, Ashok Pathirage’s strategic leadership has created a highly diversified conglomerate that is steadily laying the foundation of a local business empire. He was appointed Chairman of Softlogic in 2003 while several other entities under his chairmanship are listed on the Colombo Stock Exchange (CSE). Pathirage is the Chairman and Managing Director of private sector healthcare provider Asiri Group of Hospitals, in addition to chairing Softlogic Capital, Softlogic Finance and Softlogic Life, as well as other group companies that operate in the leisure and hotel, retail (including the iconic ODEL department store and a growing chain of retail outlets), motor and ICT sectors. The former schoolboy cricketer who hails from the southern capital Galle also serves as the Deputy Chairman of National Development Bank (NDB) and continues to trailblaze his way to the pinnacle of business in Sri Lanka. 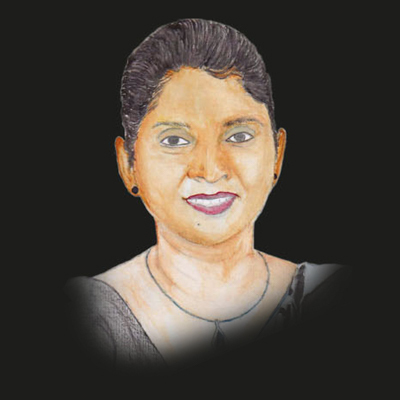 One of only two female representatives among the Businesspeople Of The Year in 2017, Sandamini Perera is recognised for her contribution to the emergence of a booming real estate sector and as an outstanding achiever among women leaders in this country. The Deputy Chairperson of Prime Lands group has made her mark in the local real estate landscape and carries the honour of receiving the WE (Women Empowerment) Award 2014, an initiative of the World Consulting & Research Corporation (WCRC) Leaders Asia. In addition, Women in Management named her the ‘Best Women Entrepreneur – Large’ at the Women for Governance Professional and Career Women Awards 2014/15. From its humble beginnings in 1995, Prime Lands has its sights on generating an annual turnover of Rs. 25 billion by 2020 and cementing its place in the upper echelons of Sri Lanka Inc. The group has already made its mark in the human resources arena by being ranked as one of Sri Lanka’s 25 Best Companies to Work for. The second of this year’s female Businesspeople Of The Year, the Chairperson of Abans is renowned for trailblazing her way to corporate stardom – and she continues to set far-reaching benchmarks for budding entrepreneurs. 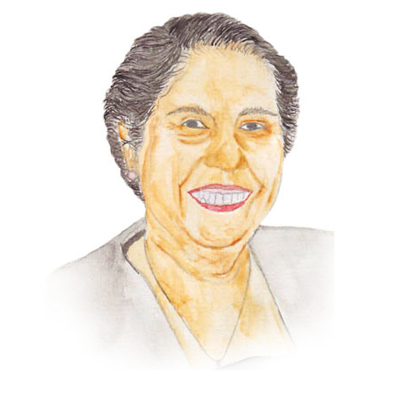 In 2013, Aban Pestonjee was conferred LMD’s Lifetime Achievement Award and she’s been a regular feature of the magazine’s Businesspeople Of The Year roll call. Meanwhile, Pestonjee has attracted international recognition by winning the Leading Women Entrepreneur of the World award back in 2006. The legendary industrialist has transformed the Abans group into a veritable business empire that is on the verge of etching its credentials in the high stakes city real estate landscape with the mega mixed development project Colombo City Centre. Pestonjee forayed into the world of business back in 1968 by resorting and selling used appliances from her garage at home, and was among the first entrepreneurs to offer South Korean technology to Sri Lankans. Having joined Singer (Sri Lanka) as an accountant back in 1990, Asoka Pieris has risen through the ranks to assume the role of the popular retail group’s CEO. He has gained a wide spectrum of experience and untold business acumen over the years in varied functional roles both in Sri Lanka and abroad – particularly in Hong Kong. Pieris was appointed to the board of Singer (Sri Lanka) in 2004, and has functioned as Vice-President – Finance and CFO of Singer Asia, and Director of Singer Finance (Lanka), Reality Lanka, Singer Corporation, and Btindia and Brand Trading (India), as well as being an alternate director of Singer Industries (Ceylon) and Regnis (Lanka), and controller of Retail Holdings. Pieris is a member of the Institute of Chartered Accountants of Sri Lanka and Chartered Institute of Management Accountants (CIMA) UK, and has sat on the boards of Singer companies in Asian nations and territories such as Hong Kong, India, Bangladesh and Indonesia. The Chairman of John Keells Holdings (JKH) has the enviable distinction of being the only corporate leader to make the Businesspeople Of The Year list every year since its inception in 2010. 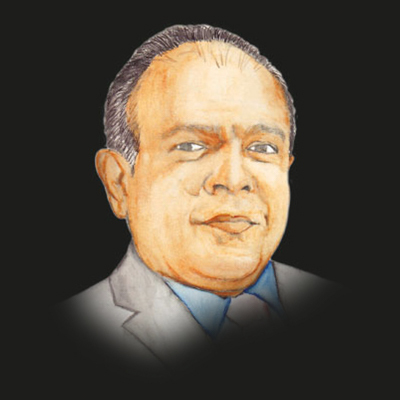 Under Susantha Ratnayake’s stewardship, the highly diversified conglomerate has continued to march forward with game changing mega development projects such as Cinnamon Life. JKH took the top spot in the LMD 100 for financial year 2015/16 and helmed the recently released Most Respected rankings for yet another year – in fact, it has enjoyed numero uno status in all but one year since the pioneering rankings of the nation’s most admired companies were launched in 2005. Named LMD’s Sri Lankan Of The Year in 2013, his business acumen over nearly four decades of service to Sri Lanka’s premier conglomerate speaks for itself. 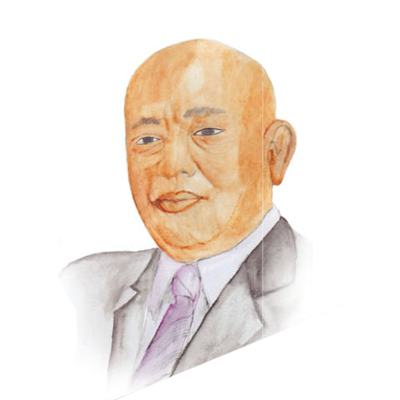 A former chairman of the Sri Lanka Tea Board and Ceylon Chamber of Commerce, Ratnayake has also served as Chairman of the Employers’ Federation of Ceylon. A chartered accountant by profession and schoolboy ruggerite who studied at S. Thomas’ College, Rajkumar Renganathan’s tenure at Ceylinco Group dates back to 1983. A firm believer in the importance of life insurance, the soft spoken businessman has marshalled a team of professionals who share this common objective – and under his leadership, Ceylinco Life won the Asia Insurance Review Award for Corporate Social Responsibility (CSR) in the Asian region. On the back of the firm’s success in the life insurance arena, Ceylinco Life has diversified into the healthcare sector with a goal to provide affordable services and facilities to the people of Sri Lanka. To this end, with its affiliation to the Washington Cancer Institute, the company has established Cancer Detection and Diabetes Centres in Colombo. Renganathan is an executive board member of LIMRA India/Sri Lanka and a member of the Institute of Certified Management Accountants of Sri Lanka. He is no stranger to Sri Lanka’s developmental status quo, most recently being appointed Economic Advisor to the Ministry of Finance and Mass Media. An Associate Professor of the National University of Singapore (NUS) and Chairman of the Institute of Policy Studies (IPS) of Sri Lanka, Dr. Razeen Sally has advocated a shift to a stable liberal democracy, sustainable and broadly shared economic growth, ethnic reconciliation and balanced international relations. As a prominent member of the diaspora community, Sally also calls for greater positive engagement in reaching out to the many Sri Lankans residing overseas who are willing to give back to their country of origin. In media circles, the highly qualified economist has made his mark by speaking out on what ails Sri Lanka – Sally has been hailed for numerous no holds barred interviews that have appeared in business newspapers such as the Daily FT and in an LMD cover feature earlier this year. 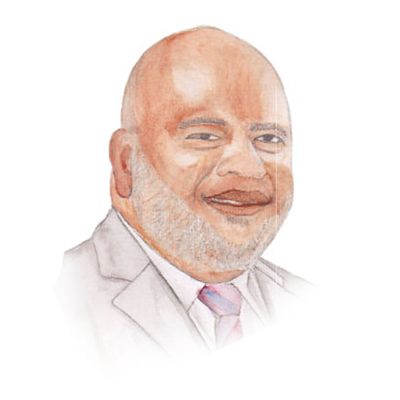 The Group Chairman of LAUGFS Holdings Hemachandra Wegapitiya is an entrepreneur, a philanthropist and business leader who has made the grade through sheer determination. Having gained a business degree and an MBA, Wegapitiya proceeded to study energy management in the UK, and is currently reading for his PhD at the Postgraduate Institute of Management. Wegapitiya has spearheaded the expansion of LAUGFS into a diverse conglomerate, and his entrepreneurial journey has been recognised through accolades such as the National Gold Award for Entrepreneurship, Entrepreneur of the Year Platinum Award, Asian Leadership for Excellence in Entrepreneurship Award and Ada Derana Sri Lankan Entrepreneur of the Year 2016 Award. Wegapitiya has served on the boards of several prominent organisations in Sri Lanka, while being a member of the Executive Council of the Ceylon Chamber of Commerce and National Pay Commission, and Governing Council of the University of Sri Jayewardenepura. He joined the top shelf mobile telephony giant in 1994 as a member of the founding management team and functioned in the capacity of the Chief Executive of Dialog Axiata for nearly 20 years from 1997. In January last year, the Axiata Group appointed Dr. Hans Wijayasuriya as the Regional CEO for the South Asian region. The soft spoken business leader also serves on the board of the Sri Lanka Institute of Nanotechnology (SLINTEC), and holds a degree in electrical and electronic engineering from the University of Cambridge, a PhD in digital mobile communications from the University of Bristol and an MBA from the University of Warwick. Additionally, he’s a Fellow of the Institution of Engineering and Technology (IET) of the UK, and a chartered professional engineer. Wijayasuriya won LMD’s Sri Lankan Of The Year award in 2008 for his exploits in the domestic business arena and the respect he commands in corporate circles here in Sri Lanka. 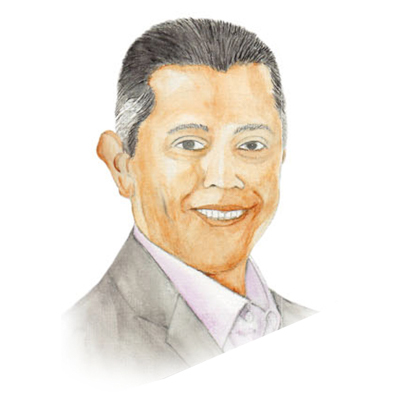 The Managing Director of Union Apparels Ajith Wijeyesekera also heads The Blue Water, Water Garden Sigiriya and a number of other high end boutique hotels. For some 25 years, Union Apparels – which operates four factories that are intent on achieving world-class standards – has strived to provide a synergy between renowned fashion retailers across the globe and their customers, enabling the apparel producer to record an annual income of around US$ 40 million. Wijeyesekera is also an independent non-executive director of UB Finance. As for his interests in the tourism industry, The Blue Water is a 20 year old privately run five-star hotel designed by the iconic Deshamanya Geoffrey Bawa whose protégé Channa Daswatte conceptualised the upscale boutique hotel in Sigiriya more recently. What strikes those who know him is his humble demeanour and an uncanny ability to mix with people from all walks of life. And he is the epitome of a quiet achiever.